Dr. Michael Wingfield is a worldwide leader in tree disease biology whose thirty-year career has been dedicated to researching tree pests and pathogens. The numerous discoveries he has made, in addition to the expansive body of work he has published, have both advanced the field and cemented his position as a world leader in the field of tree disease biology. Wingfield attended the University of Minnesota as a Ph.D. student in Plant Pathology from 1980 to 1983. Upon returning to his native South Africa, Wingfield obtained a position as a senior agricultural researcher at the Plant Protection Research Institute, before serving as a researcher and professor at the University of the Free State and a Mondio Professor of Forest Pathology at the University of Pretoria. In 1990, Wingfield established the Tree Protection Co-operative Programme (TPCP) with the goal of minimizing the impact of pest and pathogens threatening South Africa’s commercial forestry. In the years since, TPCP has grown to be the world’s largest tree health project and led to the 1998 establishment of the University of Pretoria’s Forestry and Agricultural Biotechnology Institute (FABI), where Wingfield served as founding-director. 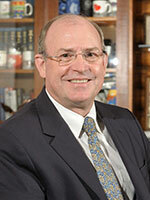 Today, Wingfield continues to serve as profesor and director of FABI at the University of Pretoria. He is also the current president of the International Union of Forest Research Organizations, a worldwide network of more than 15,000 forest scientists based in Austria. Among Wingfield’s many distinguished accomplishments include discovering important pathogens of trees in plantations, serving as mentor to 140 Ph.D. and M.S. students, writing more than 800 research publications, delivering nearly 300 keynote speeches around the world, and receiving the African Union’s 2013 Kwame Nkurumah Science Award.